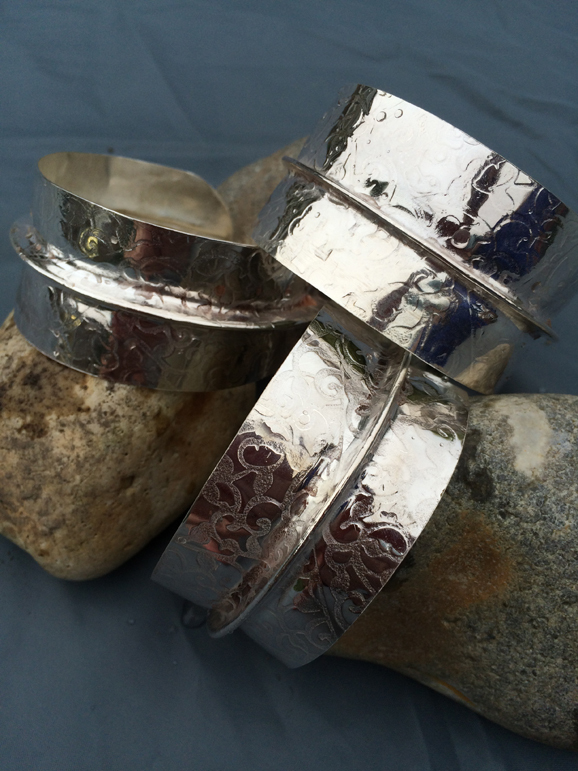 Jewellery designer Debbie Smith runs her jewellery courses from her peaceful garden studio in Lindfield, West Sussex. For beginners there is a one-day course and a six-week course, and for those with more experience there are Intermediate and Advanced classes. The one-day course, which is designed to be fun and relaxed, is very much ‘hands on’ with plenty of opportunity to experiment and be creative, and everybody will leave with at least one piece of finished jewellery. Classes are limited to five people enabling Debbie to accommodate beginners and those with some experience. The six-week course classes are held weekday mornings or afternoons and fit in alongside school terms. During the six weeks, you will learn how to use a piercing saw, files, hammers, mandrills, doming punches, rolling mills and a soldering torch. 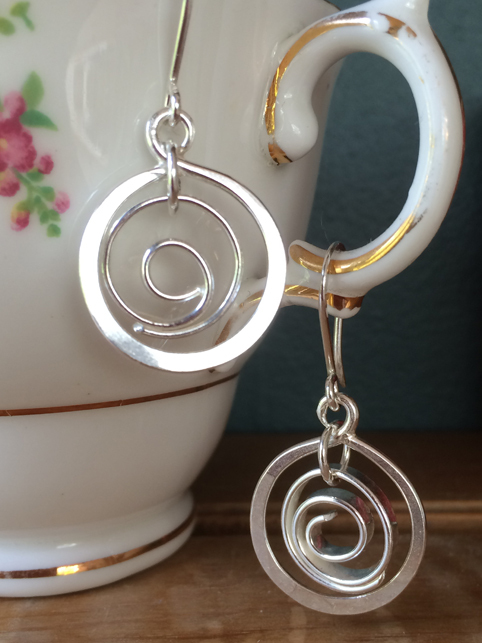 You will make and size a silver band ring and a silver pendant. At the end of the course you will a have a good basic knowledge of jewellery skills. “I encourage everyone to develop their own ideas and creativity. It’s all about doing something fun with like-minded people! 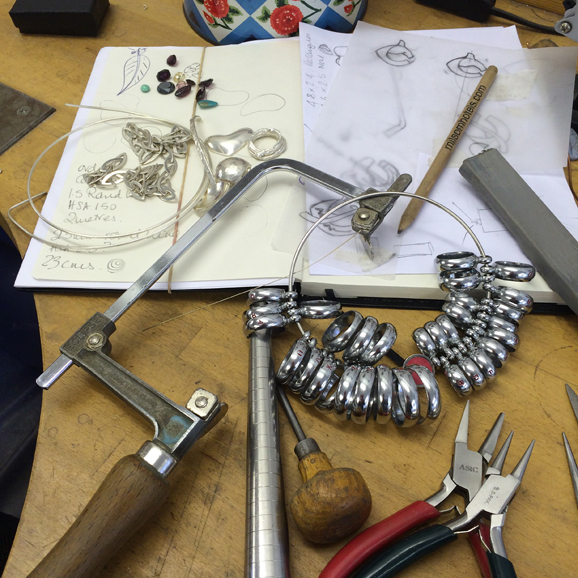 The course is for beginners and anyone who has an interest in jewellery design,” says Debbie. Once you’ve completed the six-week Beginners Course, if you find you’ve got the bug you can move on to Intermediate and Advanced classes! Visit www.thejewellery-workshop.co.uk for further information or call 07775 884990.